It's the most wonderful time of the year: the time our special yearend episode of Marketing Smarts airs! Our previous yearend specials from 2013, 2014, 2015, and 2016 all featured a group of marketing stars sharing their answer to the same question. This year, we continue that tradition! This final episode of 2017 features all-new Marketing Smarts content from authors, thought leaders, strategists, and big-brand marketers who sat down with me at the MarketingProfs B2B Marketing Forum 2017. James Carbary, founder of Sweet Fish Media, a podcast agency for B2B brands. He's a contributor for the Huffington Post and Business Insider, and he also co-hosts the B2B Growth Show: a daily podcast dedicated to helping B2B marketers achieve explosive growth. Carlos Hidalgo, founder and CEO of VisumCx, former CEO of ANNUITAS, author of Driving Demand: Transforming B2B Marketing to Meet the Needs of the Modern Buyer. Dan Rasmussen, account manager at digital marketing agency TopRank. James Thomas, chief marketing officer at marketing software company Allocadia. Stephan Hovnanian, content solutions architect for employee advocacy platform Bambu by Sprout Social. Dayna Rothman, vice-president of marketing and sales development at BrightFunnel, and author of Lead Generation for Dummies. Tim Hayden, president and co-managing partner at executive consultancy Brain Trust Partners, and co-author of The Mobile Commerce Revolution (with Tom Webster). Marketing Smarts episodes 140 and 227. Scott Monty, CEO and co-managing partner at executive consultancy Brain Trust Partners. Marketing Smarts episode 158. Doug Kessler, creative director and co-founder of B2B marketing agency Velocity Partners. Mark W. Schaefer, globally recognized blogger, speaker, educator, and consultant, and author of several bestselling books, including The Tao of Twitter and The Content Code. Marketing Smarts episodes 306, 176, 150 and 89. Nancy Harhut, email and behavioral science expert, chief creative officer, Nancy Harhut & Associates. Marketing Smarts episode 298. Joe Chernov, chief marketing officer at analytics software company InsightSquared; previously vice-president of marketing, content, for HubSpot. Tim Washer, creative director, SP marketing at Cisco Systems. Tim studied improv under Amy Poehler and later wrote for her on Saturday Night Live's Weekend Update. He studied comedy writing under Tom Purcell, head writer for The Colbert Report. TV comedy appearances include HBO's Last Week Tonight with John Oliver, the Onion Sports Network, and Conan O'Brien, and a T-Mobile commercial with Catherine Zeta-Jones. 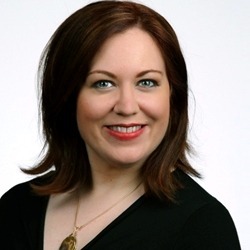 Lauren Vargas, head of employee digital engagement and collaboration at Fidelity Investments, adjunct instructor at Harvard Extension School. Christopher Penn, vice-president of marketing technology at Shift Communications, author of Leading Innovation: Building a Scalable, Innovative Organization, and co-host of the Marketing Over Coffee podcast with John J. Wall. Marketing Smarts episode 218. This special episode is action-packed! Be sure to listen to the entire show, which you can do above, or download the mp3 and listen at your convenience. Of course, you can also subscribe to the Marketing Smarts podcast in iTunes or via RSS and never miss an episode! And for more information about my co-host, Mack, visit MackCollier.com or follow him on Twitter: @MackCollier. 17 smart marketers: James Carbary, Carlos Hidalgo, Dan Rasmussen, James Thomas, Stephan Hovnanian, Tom Webster, Tim Hayden, Scott Monty, Doug Kessler, Mark Schaefer, Nancy Harhut, Joe Chernov, Tim Washer, Lauren Vargas, Chris Brogan, Christopher Penn, and special guest co-host Mack Collier.